It has been a while (again). Sorry about that. 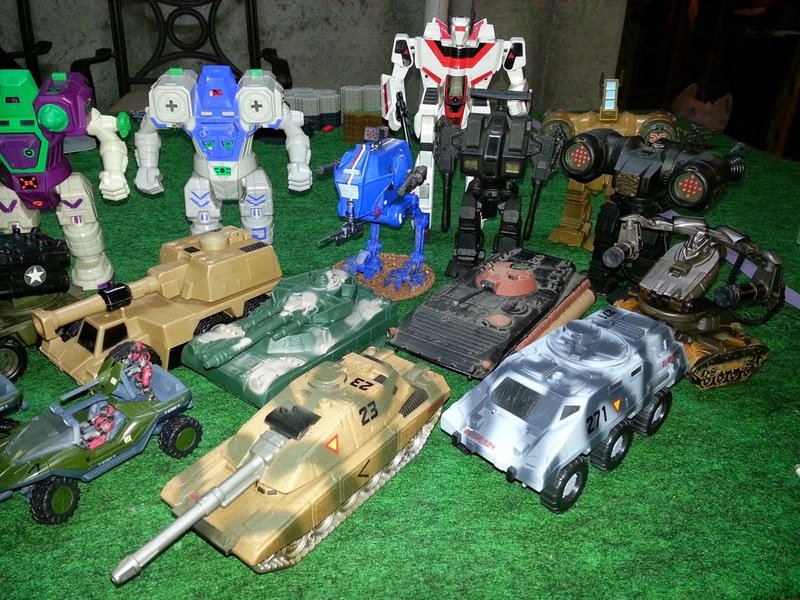 To achieve this goal of mine, I have acquired over the years several Exo-Squad mechs, a couple ED-209s from the original RoboCop movie toy line, a first generation Transformer that can be used as a Phoenix Hawk LAM, as well as some of the Tyco MechWarrior toys based on the 90's cartoon series. Not all of these scale with each other, but based properly, should work. The ED-209s aren't really usable as "BT" mechs, unless someone can find me a light/medium mech that is visually similar (please do!). Also, I have other gaming group members that have additional Exo-Squad and Tyco toys that I am lacking in my collection. There's a wonderful article on the Myomer Dreams blog that deals with some of the toys I'm talking about. The good fellows at Chicago Skirmish Wargames also know the game. Peruse their sites. They're full of awesomeness. 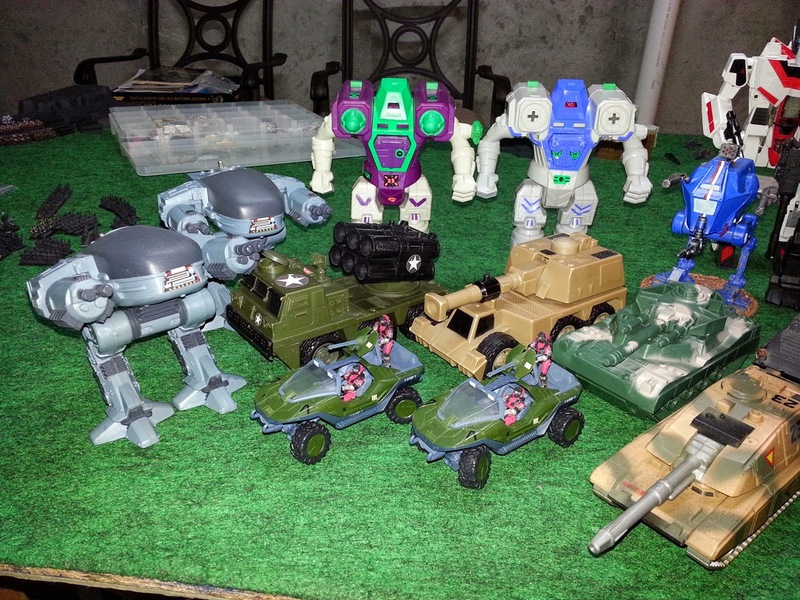 After thinking about it, I've got mechs from two different BT eras: early and post-Clan invasion. I'll have to figure out what I want to do with them. My AT-43 UNA and Red Blok forces will work as infantry from any BT era and the toy tanks and vehicles I've found at various times and locations will help with the combined arms aspect I am wanting to attain.